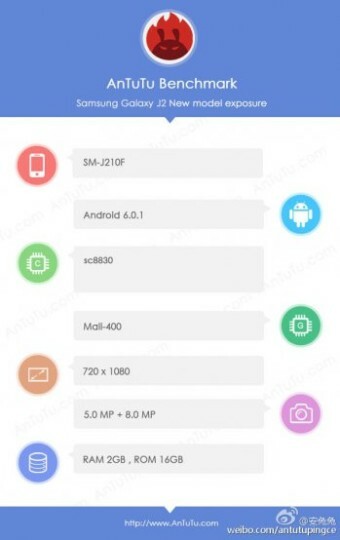 The updated version of the Samsung Galaxy J2 has appeared in some benchmarks, the handset comes with the model number SM-J201F and it looks like there will be two versions of the handset. The latest benchmarks for the Samsung Galaxy J2 come from AnTuTu and the handset is listed with a Spreadtrum SC8330 quad core processor and 2GB of RAM, a previous benchmark listed showed a 1.5GB of RAM model. The device is running Android 6.0.1 Marshmallow in the benchmarks and the device is listed with a display resolution of 720 x 1080 pixels, there are no details on the size of the display as yet. Other specifications which have been revealed include 16GB of storage, we presume that the handset will also come with a microSD card slot as well. 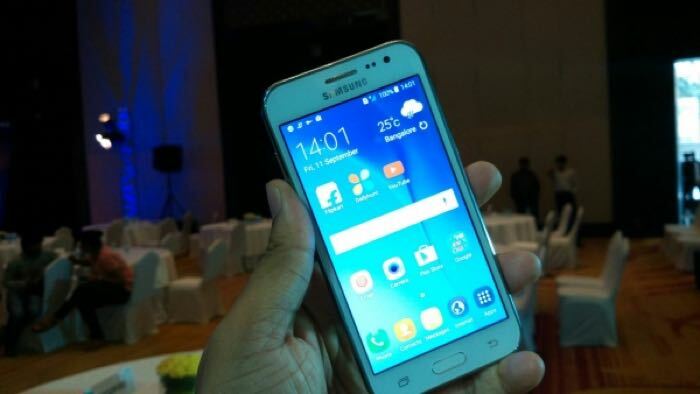 The 2016 Samsung Galaxy J2 is also listed with featuring a 5 megapixel front facing camera and a 12 megapixel rear camera, as yet there are no details on when the handset will be made official.